Next post: YWW Is Open! Kyle is a twelve-year-old boy who spends many Saturdays with his father at the beach. During their visits, Kyle tries to convince his father to explore a cliff that lines the shore, but to no avail. When his father is forced to work extra hours on the weekend, Kyle decides to investigate the cliffs by himself. However, after his first trip to the cliffs, he is startled to find two strange men lurking around, watching his every move. When Kyle’s next-door-neighbor and best friend, Kaitlin, finds out about his secret excursions, she insists on going with Kyle to explore. They continue their exploration until they stumble upon a discovery that could be considered one of the greatest of all time. 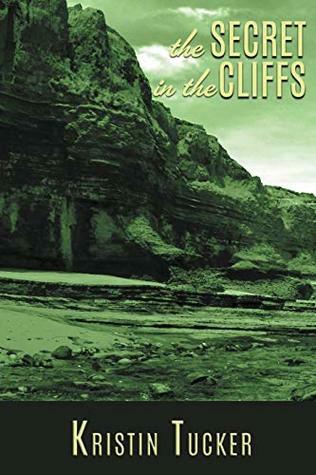 Kyle faces a dilemma: Would it be best to protect the sanctity of an ancient people, or to allow the world a glimpse of the cliff’s biggest secret, which might cause many to come to faith? Recommendation: 12/13ish for warnings below. My favorite character is: Kyle is a very interesting character and I liked reading about him and his adventures. My thoughts: This was a wonderful adventure story and I liked following along as Kyle searched for answers. Warnings: The kids do have a good bit of bad attitudes that take away some of the enjoyment out of reading the book. I have a stomach bug as I write this and will give a longer review at a later time. But still, this book sounds really interesting! Great review, Kaylee! Ah, no fun at all! It is a great book! Thanks, Nicole! Thanks! It hit my whole family hare, but we’re slowly getting better.